We love International Harvester at Jalopnik. In fact, our own Andrew Collins has written fairly extensively about his own experiences with an International Harvester Scout. Here’s another International Harvester I saw recently around town, but it’s no Scout. It’s one of the first-ever SUVs: a Travelall. Everyone is familiar with the IH Scout. Next to the Ford Bronco and Dodge Ramcharger, it’s often the prime candidate for crazy off-road builds that air on Velocity at 12 a.m.
Perhaps lesser known is the IH Travelall, which paved the way for big off-road vehicles. The Travelall was known for its cargo capacity and ability to go just about anywhere, while carrying the entire family, a picnic, bicycles, and probably a few small countries. I saw this particular Travelall while driving around Baltimore County in Maryland. It’s obviously been parked for sometime and the license plate indicates that it hasn’t been registered since around when George W. Bush was president. It seems to be equipped with an “aftermarket” wooden roof rack. “Rugged” may not be the right word but it certainly adds to the look. This early SUV is just begging for some ill-advised restoration and would be a prime candidate for anyone wanting a mostly complete oddball SUV to start with. 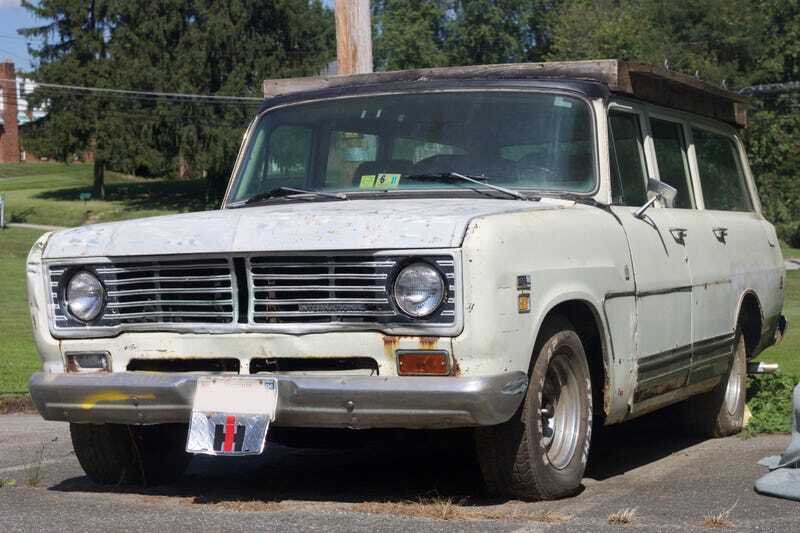 There&apos;s No Way This 1980 Scout Is Actually Worth $175,000 Right?